Education Magazine | Advertising | Education Emails - Music is a lifesaver. Every child should have a chance to play. less obliged to say their prayers, and a frightening number of them admire Donald Trump. But when it comes to music in schools, they are streets ahead of us. Because their Senate has just approved the Every Student Succeeds Act, which will reduce over-testing, return power to local districts, and make music a core subject. Yes, music! No such luck here, with endless testing, teachers leaving in droves and the National Plan for Music Education in tatters. It promised that every child would learn a musical instrument. Fat chance. Try taking a child out of class for 15 minutes nowadays for an individual music lesson, as we used to in the 70s. They would miss some swotting for a test or wreck a target – and, anyway, what would the child play and how would they learn? 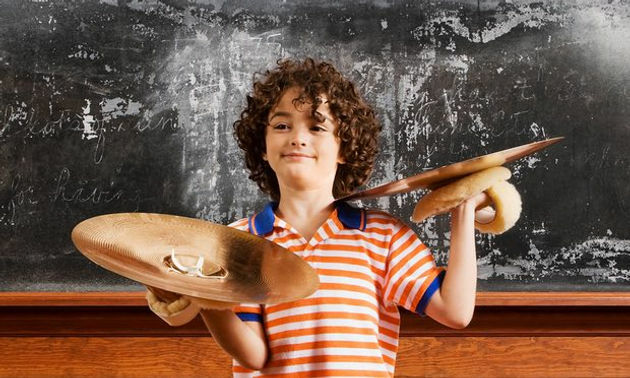 What school could pay for instruments and one-to-one tuition? How could they ever build up an orchestra, for poor as well as rich? Many do, because excellent teachers work themselves almost to breakdown, slaves to the dreaded music hubs, often on zero-hours contracts, because they know music is worth it. If you want to encourage co-operation, collaboration, socialising, civility, creativity, responsibility and self-confidence, don’t bother with citizenship classes. Just have an orchestra. Or any musical group. They’ll do all of that and more. And playing in one makes you feel good. I know because I do it. It’s a lifesaver. But what’s the point of telling Nicky “head prefect” Morganthat? I may as well tell my tortoise. And, anyway, she is working for a rubbish ministry. “Could you get a worse system?” says Fielding, 30 years a slave at the chalkface. “Did they sit down and work out as divisive, stultifying, exam-driven and competitive a curriculum as they possibly could?” Yes. Every child, from any background, should have a chance to play music if they so wish. And they all can. It’s a myth that music is difficult; a useful myth, for our tightwad, snobby government. Copy music, not war. Marie De Bry Arts Academy Ltd helps you with your musical dreams. We deliver high quality and enjoyable music lessons in your London home. All ages and levels are welcomed. Our music teachers are enthusiastic and motivated, ready to give their students an engaging musical experience. They are graduates of the world leading music conservatories and DBS checked. Beside this they are covered for Public Liability. Some of our #1 London music tutors can speak multiple languages. If you would like a lesson in a specific language, please don’t hesitate to contact us. When the student is a child, we gain the parents support by staying in communication to help your child achieve his/her best musical development. Your introductory music lesson will be free. During this time; you get to meet your London music teacher. Your teacher can assess your current level of efficiency, recommend you a music piece, set goals, and you can discuss next lessons.